What have we learned about nutrition in the past 5 years? Low-carb. Red meat. Sugar. Paleo. Those are complex topics, but you might not be able to tell from all the frenzied and simplistic arguments on either side. In a World Gone Mad over Diets, In a Time When Alarmism Rules (read in the voice of that movie trailer voiceover guy) … there comes Examine.com. Founded exactly five years ago in order to help people help themselves, Examine.com provides summaries of the actual primary research, spurs curiosity, and promotes a better understanding of nutrition and supplements. We’ve learned a lot since March of 2011, so we thought that in lieu of wood or silverware (the traditional gifts for a 5-year anniversary), we’d provide you with just a few highlights. 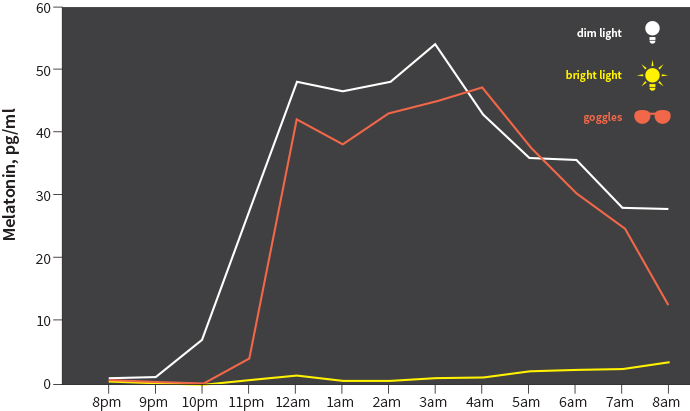 The delightful and oh-so-Deutsche word for a circadian rhythm factor is zeitgeber. If you spend your workday indoors but watch TV and browse the web at night, work mostly alone during the day but socialize at night, and sit virtually motionless during the day but exercise at night, you’re effectively flipping three of the most important zeitgebers on their heads. So rather than investigating sleep supplements, let’s look into zeitgebers first. The king of all zeitgebers is blue light. This light wavelength suppresses your body’s melatonin production. During the day, if you look up at the sky, you’ll see a free and powerful source of blue light: the sun. If you see the sun’s glorious light during the day, and shut off lights at night, hormones that vary throughout the day (such as cortisol and melatonin) are more likely to vary in the way you’d want them to. Source: Kayumov et al., 2005 Feb.
A randomized trial from January of 2015 found that people using iPads at night had a harder time falling asleep, experienced less REM sleep, and felt less refreshed the next morning. Shortly afterward, iPhones and Amazon tablets started being built with blue-light reduction capability. Now, the Examine.com research staff had long used freely available computer programs (such as f.lux) to reduce blue light, in addition to testing blue-light-blocking light bulbs and glasses, but the fact that these mammoth companies are taking notice bodes well. 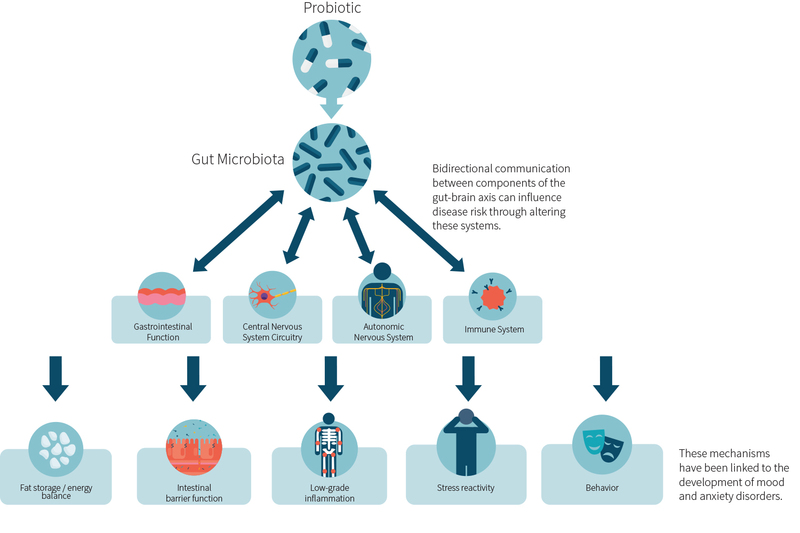 The gut microbiome. So hot right now. But tell that to Hippocrates, who said 2,500 years ago that “all disease begins in the gut”. The gut’s always been hot, ever since our pre-human ancestors developed these long and winding tunnels that allowed greater nutrient extraction. In the past couple decades, we’ve come to realize that the gut’s role isn’t limited to nutrient extraction. Research in both healthy and sick people is just beginning to explore the effects of the gut microbiome on exercise and of exercise on the gut microbiome. Gut bacteria have been shown to communicate with the brain through the nervous, immune, and endocrine systems, and there is growing evidence that healthy microbiomes and possibly some probiotics can improve the mood of both depressed and nondepressed people, as well as support weight management, chronic disease prevention, and so on and on and on. Maintaining a healthy gut is more complicated than popping a few probiotics, however. Probiotics rarely if ever permanently colonize the intestine, and while prebiotic fiber is important for feeding permanent inhabitants, some prebiotics can cause digestive upset, especially if taken in high doses without scaling up over time. Moreover, the gut doesn’t like only plants: Butyric acid (mostly from butter, or butyrate made from gut bacteria) helps maintain a healthy gut lining, and other meat components (such as the amino acid glutamine) can also help keep your gut healthy. The general advice is simple: Pay more attention to your gut’s health. The specifics are a bit more hazy, since gut research has just started exploding in the past five years, and much is still unknown. Chances are, though, that eating a diet rich in (relatively) unprocessed plants and animals would be appreciated by your gut lining and the bacteria that inhabit it. Exotic fruits like acai get all the hype, but cheaper and still tasty berries can actually boast a legitimate research backing for their health benefits. Before getting into the berry story, there is something you should know about antioxidants in general: The “higher = better” logic hasn’t really panned out. To assess berries and other plants, the federal government used to rely on an antioxidant scale called “oxygen radical absorbance capacity” (ORAC), but it stopped a few years ago based on the failure of ORAC to correlate with actual health benefits. So when you see “Goji Berry Superstar Smoothie” being marketed for its maximally powerful antioxidant profile, please don’t spend the extra money hoping for extra benefits. Now on to berries. Not only can they help in case of disease (like cherries for Alzheimer’s), they can also support healthy blood sugar and blood pressure. They can even benefit healthy people who exercise! Some of their effects may be due to reduced oxidation, but most of the impact is likely due to the properties of specific compounds in different berries, such as anthocyanins (the dark pigment in, for instance, blueberries). Whatever the specific mechanisms turn out to be (when it comes to cognitive benefits, berries might protect neurons against injury from toxins, improve cerebral blood flow, or activate synaptic signaling), eating more berries has very little downside and much potential upside. Berries, especially the anthocyanin-rich darker berries, have shown great promise with regard to disease prevention as well as cognitive protection and other benefits. This isn’t to say they are definitely “healthier” than other fruits, but they do have more known benefits than most other foods. Trying a low-carb diet can be a good idea — to help control blood sugar, notably, or simply as a step towards eating less junk food. But something makes low-carb diets controversial: the claim that, for an identical number of calories, they allow you to lose more weight than other diets. How? By putting the kibosh on excess insulin. Until the fall of 2015, however, this “carbohydrate-insulin hypothesis” hadn’t actually been tested in a highly controlled randomized trial. 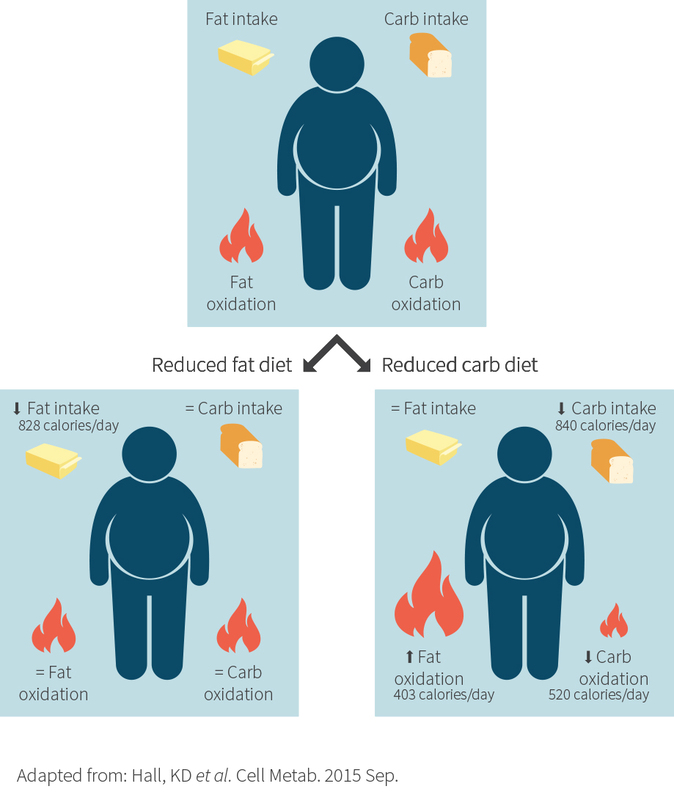 But then an NIH researcher by the name of Kevin Hall released the results of a metabolic ward study comparing a higher-carb diet (about 350 grams) to a lower-carb diet (about 140 grams — note the deliberate use of “lower-carb” rather than “low-carb”) of equal caloric content. Each study participant was tested for two weeks under each of the two diets. This method, combined with the highly controlled environment, meant that the results were pretty reliable. Those results showed very little difference between groups with regard to both weight loss and fat loss. Low-carb advocates argued that the study was too short, or had too few participants, or not enough carb reduction. While these arguments are somewhat legitimate (despite the fact that conducting a months-long metabolic ward study would be freakishly expensive), it cannot be denied that this study showed a lack of weight-loss advantage for either group under highly controlled conditions. Could a longer study have noted some sudden, beneficial metabolic shift in the lower-carb group? Well, anything is possible, but then the low-carb advantage wouldn’t be predominantly due to insulin. Insulin was quickly reduced in the lower-carb group, but that didn’t lead to any additional weight loss. This highly controlled metabolic ward study did not put the final nail in the coffin of low-carb diets. It was simply meant to test whether there is an extra “oomph” to lower-carb intakes that provides extra weight loss. No oomph was found. But benefits to lower-carb diets remain. In the fall of 2015 a short paper was published by researchers at the World Health Organization (WHO), and this short paper caused a media frenzy. Even if you avoid reading the news, your Facebook sidebar was probably showing headlines such as “Red meat causes cancer, researchers find”. There are more than a few things wrong with this type of headline. First, the paper’s findings were not at all new, and weren’t even technically “findings”: The paper was based on studies from the past 20 years and was mostly meant to estimate the colorectal cancer risk from eating red meat. So the paper didn’t “find” anything new, it just provided a new estimate. And this estimate was based on observational studies, animal experiments, and in vitro evidence, since there aren’t really randomized long-term trials of red meat intake. 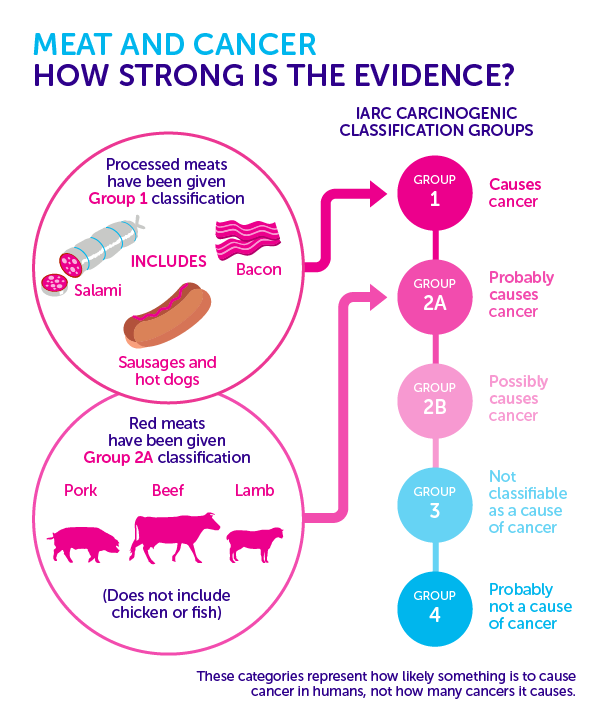 That being said, the paper did differentiate between processed red meats (which were labeled a group 1 carcinogen) and unprocessed red meats (which were one level below, in group 2A). Keep in mind that being labeled as a carcinogen doesn’t mean that something is categorically bad for you; in fact, a large variety of substances from alcohol to aloe vera are considered potential carcinogens. As always, dose and context are key. Compounds in certain plants might substantially reduce the cancer risk from red meat (by helping negate N-nitroso compounds as well as harmful compounds generated by high-heat cooking), and avoiding charred and processed meat is another way to reduce risk. Red meat is not categorically unhealthy. A higher risk for colorectal cancer is mostly linked to processed and charred meats. Eating a healthy diet complete with vegetables may reduce risk, as would avoiding consistent high intakes of red meat. These are only five out of dozens upon dozens of recent topics in nutrition, all of which we continuously update as new evidence surfaces. Every new year is exciting for us, because of the massive amount of studies we get to wade through to find usable gems! And we mean that sincerely, not at all sarcastically. We really, really like reading papers and drawing connections between them. Who knows what 2017 will reveal about the complex and malleable gut microbiome? Are there foods with near-pharmaceutical-like effects that we don’t know about yet? If you are as curious as we are about these topics, get a couple updates a month in your inbox, and hear about the latest in research as it happens.